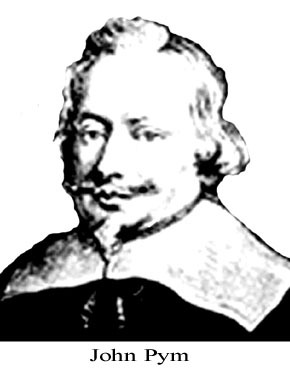 The impeachment and execution of Thomas Wentworth, Earl of Strafford. Wentworth knew the risk he was taking by returning to London but was swayed both by his concept of duty to the King and his own confidence that he could explain all satisfactorily to Parliament. He had previously done so and expected to be able to do it again. This time, however, he found the enmity strong from all sides and the Puritans led by John Pym both organised and clever. Although prepared for his reputation to be damaged and a probable need to withdraw from power, he was confident that the King would not let him perish. His hopes were raised when the complaints from Ireland were of a minor sort that he felt well able to answer; and a marginal vote (165-152) to refer the allegations to a Committee of the whole House indicated a strong residual support for him. Wentworth to the House of Lords of High Treason and to demand his immediate removal from the House. Wentworth was closeted with the King when news of the proposal reached them, and he determined to return to the Lords to await the messengers from the Commons, but arrived just in time to see Pym and entourage entering the House of Lords. There followed the ignominy of being required to withdraw while the Lords considered the charge. and was his trump card. Access to witnesses for Wentworth were blocked, visitors refused after dark, as was an application for bail. Pym then sought to interview members of the Privy Council about the dissolution of Parliament in May 1640, hoping to get damaging admissions from them. This should have been rejected by the Lords, but so many had turned against Wentworth in the past that the vote failed, and Pym gained a big advantage. This was added to when a Remonstrance from the Irish Parliament was brought forward, voted through by a strong Protestant membership, some supporting Catholics, and a Catholic neutrality generally. Thus armed, Clotworthy was their ready spokesman against Wentworth. under close confinement with a full time guard placed on his rooms. On December 18 Archbishop Laud was also sequestered; impeached in February 1641 , and sent to the the Tower to remain several years before his execution on 10 January 1645. In the New Year there were signs of cracks in the move for trial, and the Lords and Commons were very touchy about interviewing witnesses and the privilege of Wentworth, who was still a Lord. Otherwise Wentworth had little support from his peers. The charges from Ireland then appeared as the core of the allegations; Mountnorris and Loftus had earlier judgments reversed and the Earl of Cork was diligent in giving evidence. Such was the volume of witnesses that it was 30 January before Wentworth actually heard the specific charges against him – nine of a general nature and twenty eight specific allegations. Very reluctantly the House allowed him and his counsel a fortnight to respond, before he was returned through menacing crowds to the Tower. The charges from Ireland were all meant to demonstrate his iron handed tyranny, and not so much that he had acted illegally, but had misused the prerogative and benefited personally from his administration. The underlying purpose was more to get rid of an unpopular Deputy, much as had happened in the past and to Wentworth`s predecessor, Lord Falkland. The charges that caught Wentworth`s eye especially, were the constitutional allegations of exerting undue influence on the King and of law breaking. The rest were defensible on the facts and probably very hard to prove in a court of law; indeed he successfully proved that several were engendered by personal spite. Meanwhile, on 24 February Wentworth appeared before the House of Lords and answered the charges, rejecting them all and claiming that the Commons by implication impeached the whole government. His answers thereby formed a political arguement, a personal defence and an obligue attack on his accusers. At the end of the appearance he asked for, and was declined permission to call his own witnesses or cross examine those produced by the Commons. The trial proper took place on 22 March 1641 in the Westminster Hall, as the Commons insisted on being present, while constraints were placed on Wentworth`s legal representatives, and witnesses from Ireland (insufficient time to get to court or they had been impeached to prevent their appearance). Early in March the Commons published the accusations ( but not the responses) which, with the Irish and Scots Remonstrations, fanned public opinion. Widely read and taken as fact, few questioned them, as a result Wentworth was represented everywhere as a monster, guilty of the most horrendous crimes that popular imagination could contrive, including haven driven Irish children by their thousands into the fields to starve. `conscience free` execution even if the evidence did not prove guilt. fate as his faithful servant Wentworth, in 1649.